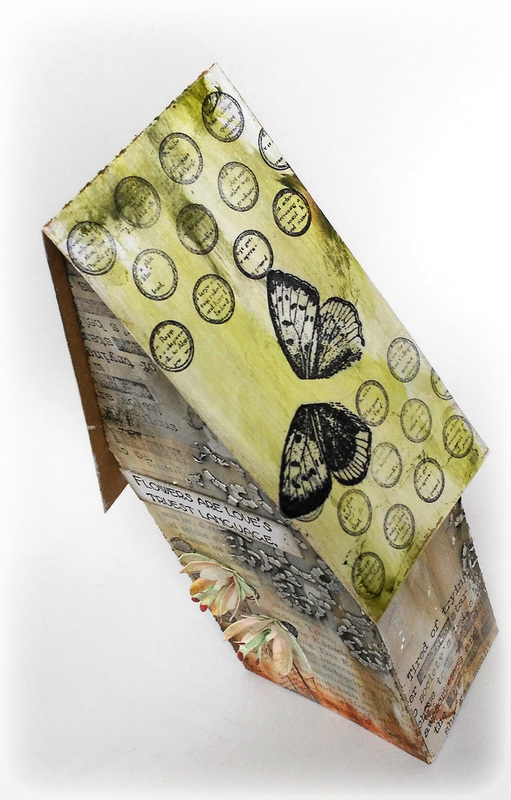 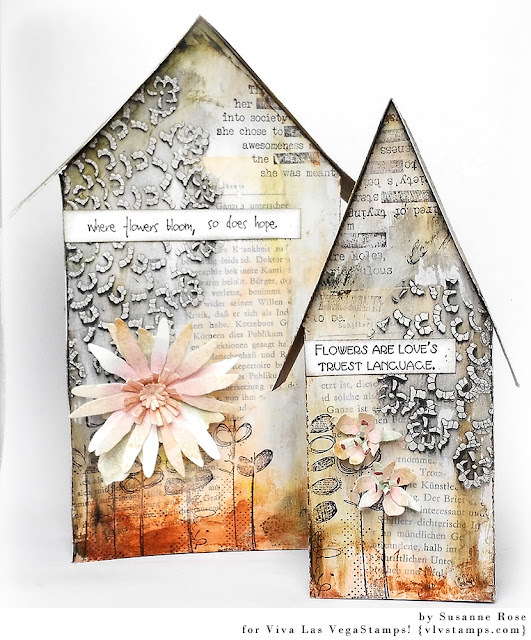 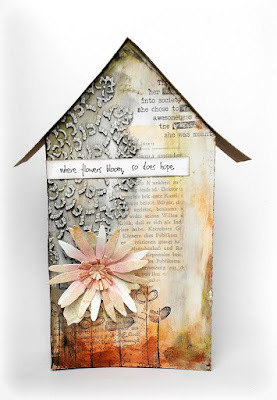 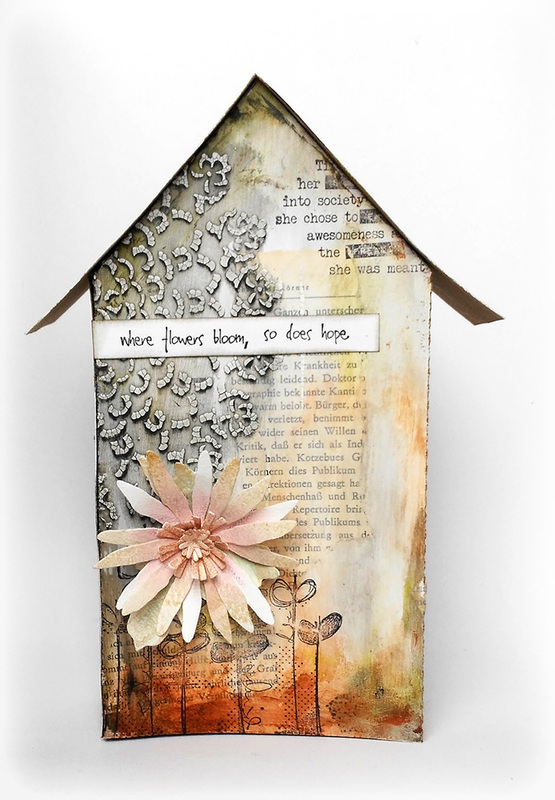 I'm sharing two altered paper houses today. 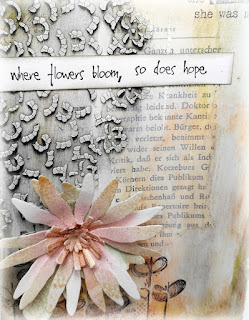 I cut the pieces with my Silhouette Cameo from Kraft cardstock. 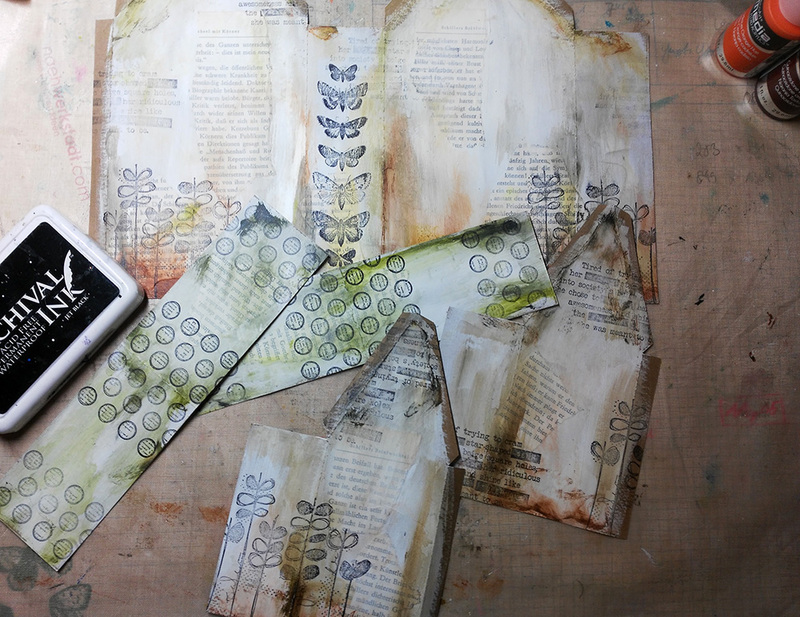 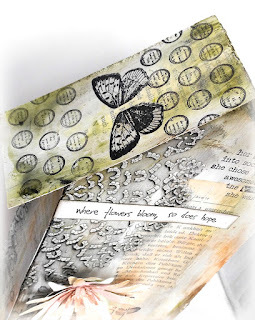 Add some pieces of old book paper before you cover every piece with gesso. Use acrylic paint together with a baby wipe to add some color. 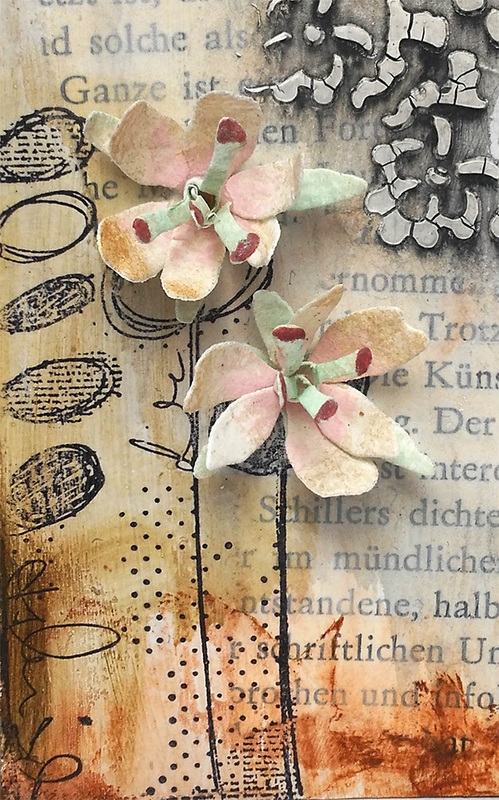 I used DecoArt Fluid Acrylics. Add some details with different stamps and waterproof ink. 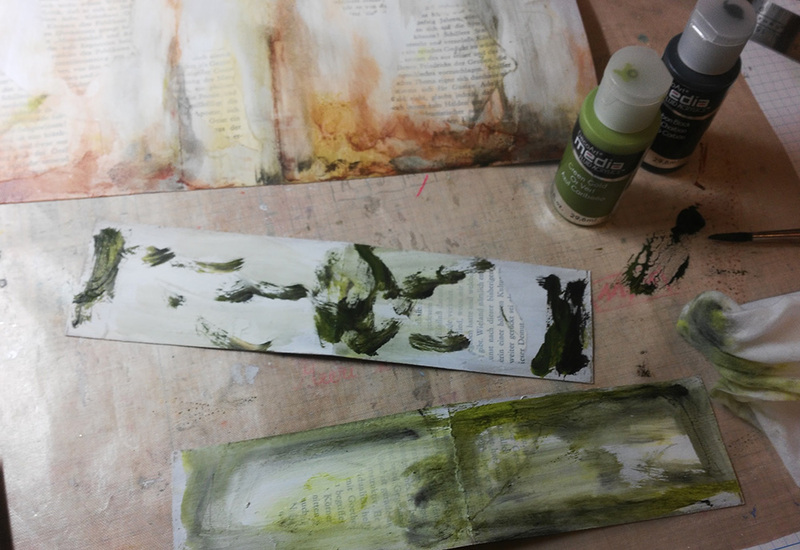 I used Archival Ink Jet Black. 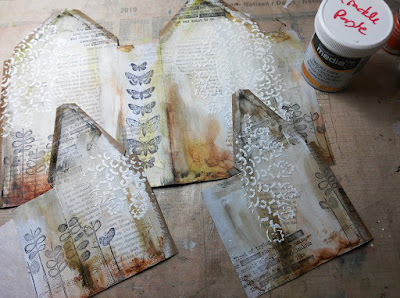 Use Crackle Paste with a stencil to add some texture. 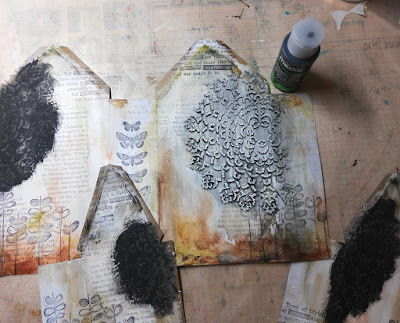 After the paste is dry, cover the texture with DecoArt Antiquing Cream Carbon Black. 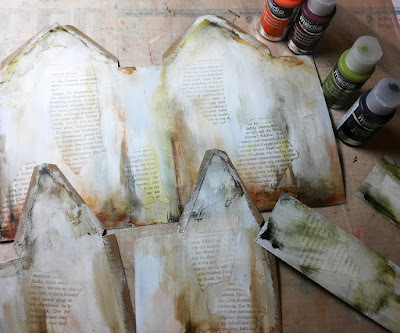 Let it dry and wipe it away with wet baby wipes. Wipe away the color just in one direction to get a deep shadow on one side of the stenciled image. I added the Pair of Butterfly Wings, stamped on tissue paper, onto the roofs. 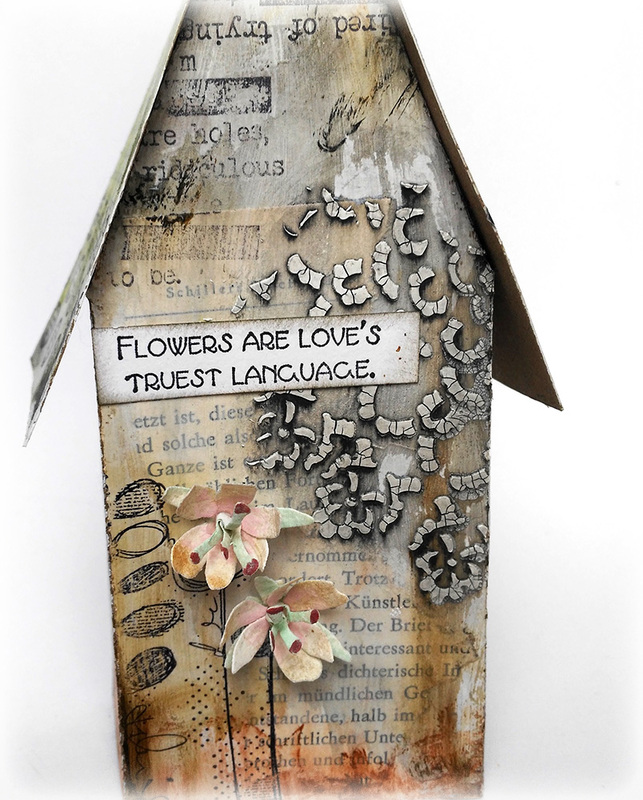 And some dimensional Flowers and sentiments to the front of the houses. 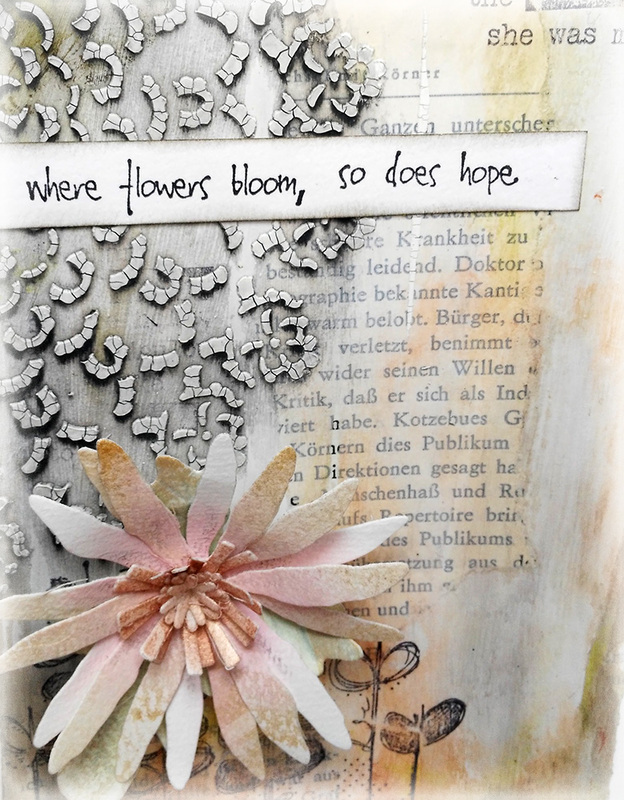 The flowers are from the Sizzix Susan's Garden Collection and colored with PanPastels. I glued the pieces together with Miracle Tape.